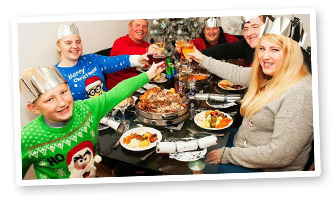 Serve your family a spectacular Christmas feast with this hamper - feeding 10 people that is just £4.50 per head. 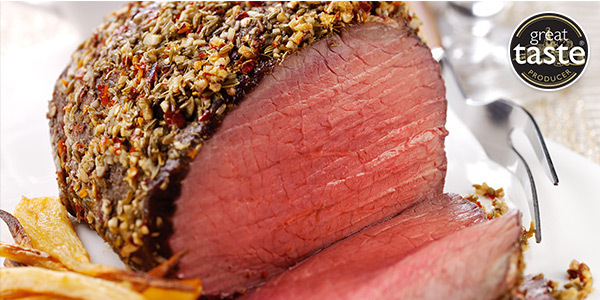 Our unique packaging is independently tested to keep your super tasty, lean meats at the right temperature for 48 hours. With years of experience and thousands of happy customers we KNOW how to ensure your order gets to you in perfect condition. 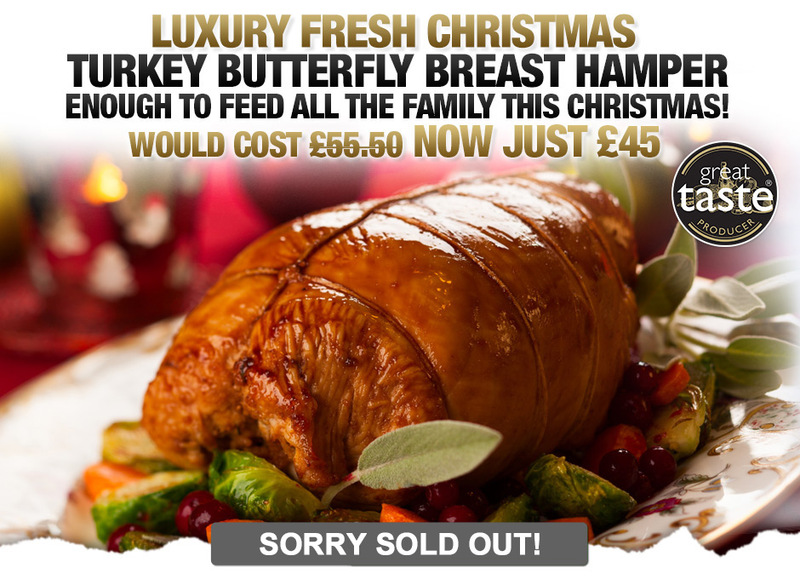 This hamper is only available for delivery from Tuesday 20th December to Friday 23rd December, because our Turkeys are fresh. We’ve hand-picked and designed these stunning hampers to easily feed any large family and have been approved by Lorna Cooper to help you save money and time this Christmas! Available for the first 300 customers! 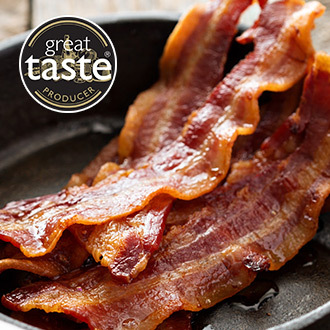 Whether you make more Pigs in Blankets, or simply cover your Turkey for extra flavour - we assure you our gourmet Streaky Bacon will bring smiles to every face this Christmas! 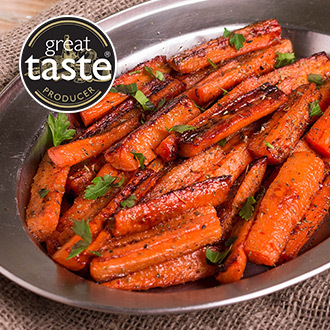 So succulent and flavoursome your taste buds will be dancing after one bite. 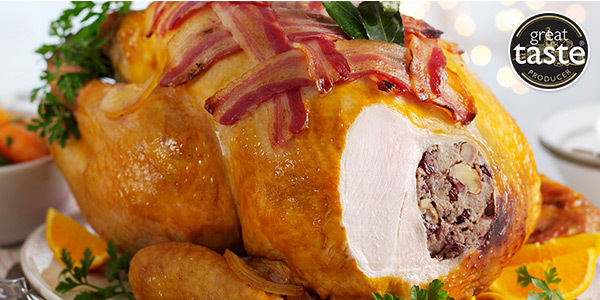 Wrap in streaky bacon and make more rather gorgeous Pigs in Blankets, or just gobble them by themselves! 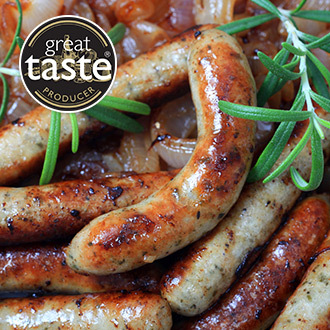 Made using our finest Meaty Pork Chipolatas, and hand rolled with Streaky Bacon. 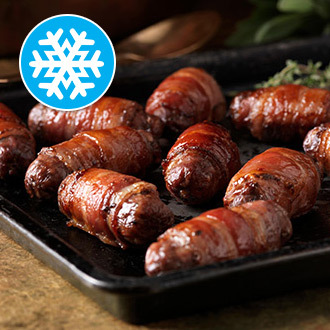 These gourmet Pigs in Blankets were our Christmas best-seller last year - you loved them so much we sold out 6 times! 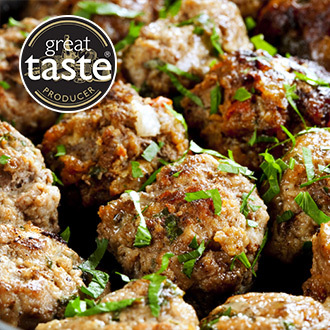 Newly introduced to our Christmas range, gorgeous gourmet Stuffing Balls, a serious Christmas Dinner favourite! 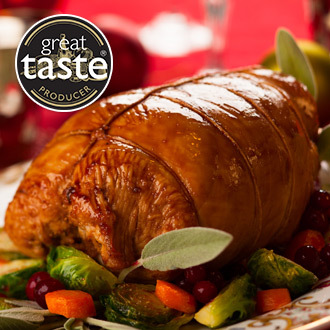 In a tradition Sage & Onion flavouring… Simply divine paired with our Turkey! What is Christmas without proper, crispy roasties which are fluffy on the inside? 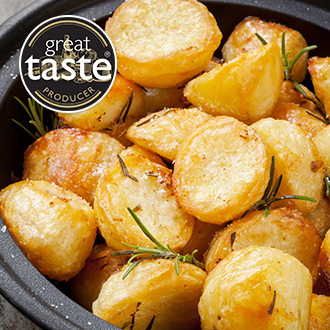 We have done our research and found you the perfect potato, so you have the ultimate roasties this year! 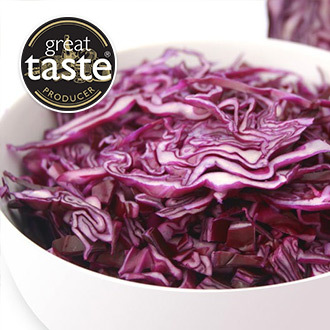 Sweet, delicious and absolutely bursting with body boosting nutrients and vitamins. Simply boil or glaze in honey for extra flavour. 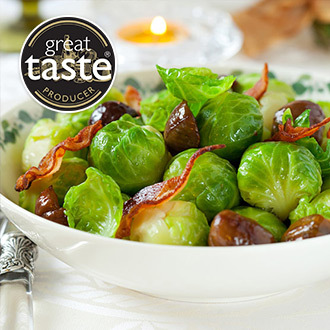 Whether you love them or hate them, just like the Queen's speech they are a Christmas must! 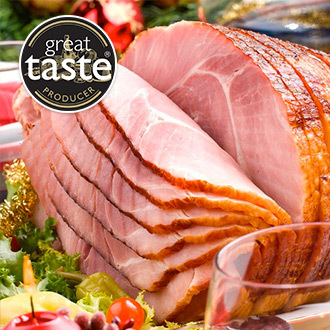 The finest quality and already washed, sliced and bagged ready to use - whether you are braising with spices and other extras or just boiling, we want to make your Christmas prep easy this year! 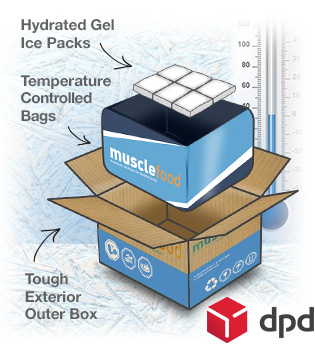 As a little Christmas gift from us to you we'll include two £5 Muscle Food vouchers for you to use in the New Year. 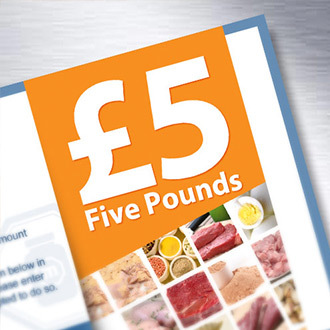 These vouchers are sent via e-mail and minimum order still applies. No further shipments will be sent. 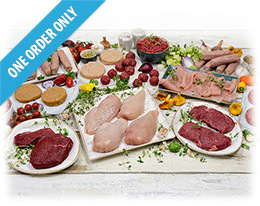 To order again in the future simply come onto the website and choose the items you want. No automatic shipments are sent. 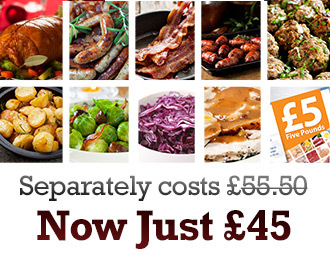 To help you stick to your food plan and lock in discounts choose 4 or 8 weeks. 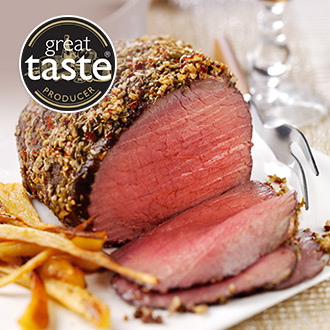 Your hamper price is fixed at £40 - never more. You can add new offers, edit your order or delete your order up to 48 hours before the next dispatch. We will also send you a reminder the week of the order! Our aim is to make healthier eating easier - no tricks. 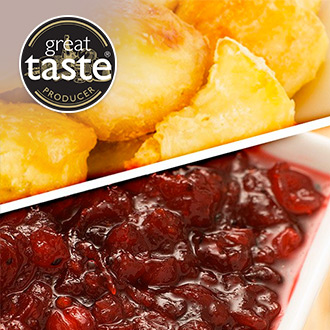 Cranberry sauce, roasties and Christmas are a match made in foodie heaven! 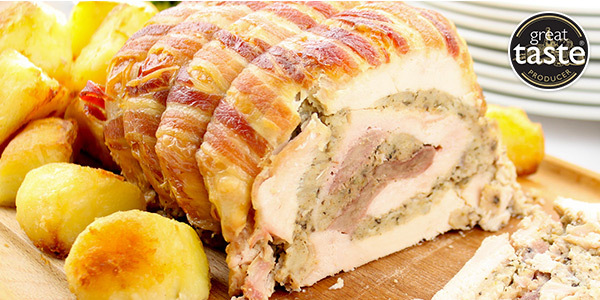 Love a Gravy covered Christmas roast, but keeping gluten out of your diet? * Normal order conditions apply, including £25 minimum spend for chilled orders after discount and our usual £3.95 standard delivery charge. The before price is based on what all these items would cost on site if you purchased them separately as of Tuesday 25th October. 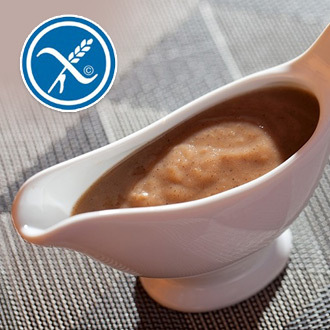 Muscle Food reserve the right to extend or cancel this promotion at any time. All payments will be taken from Thursday 15th of December. If the payment fails, your dispatch date could change. We will retry payment up until the 21st December at 10am.